A new Learning facility supervised by Lasallian Schools Supervision Office (LASSO) will rise at The Mactan Newtown. This follows the successful formula of ’live-work-play-learn’ concept by Megaworld in McKinley Hill Township in Taguig City. The new world-class Filipino academic institution to be built in the Mactan Newtown is a big boost for the establishment of a formal educational facility, where parents can bring their children in the best school without leaving the community. The School is set to open its school year in 2016-2017 and initially offers primary level education. The school’s target market focused mainly on families, relatives, and friends with children living inside The Mactan Newtown’s residential communities such as 8 Newtown Boulevard, OnePacific Residence, and One Manchester Place and nearby areas. The new La Salle supervised multi-level school building will be strategically located inside The Mactan Newtown with around 7,000 sqm of land area and state-of-the-art facilities such as laboratories, audio visual room, open and covered courts, green spaces and other learning facilities. 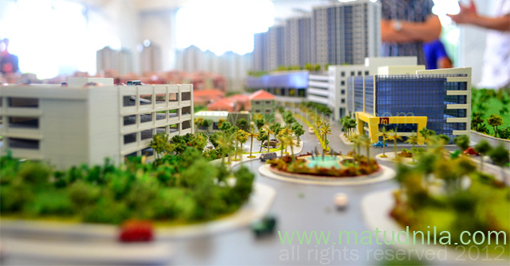 The 'Special Economic Zone' declared township, The Mactan Newtown is a commercial mixed-used complex with more than 20 hectares of land in Brgy. Mactan, Lapu-Lapu City. It is Megaworld’s biggest township project so far in Central Visayas composed of premier residential condominiums, office towers, hotel, malls, commercial and retails hubs, and among others. Since The Mactan Newtown is under the Philippine Economic Zone Authority (PEZA), businesses inside the township will enjoy various privileges such as tax incentives and holidays. 0 comments: on "La Salle Supervised School to rise at The Mactan Newtown in 2016"